Bruce W. Madsen, M.D., is a board certified ophthalmologist who has been practicing at Eyecare Associates in the Albany/Corvallis/Lebanon area since 2003. 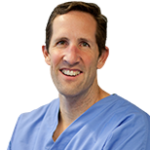 Dr. Madsen grew up in Idaho and then completed his undergraduate degree at Brigham Young University in Provo, Utah. He went on to graduate with honors and a Masters degree in Business Administration and Health Services Administration from Arizona State University. He took his love of hospital administration further and completed his medical School training at Finch University Health Sciences/The Chicago Medical School. Dr. Madsen then served as chief resident at the University of Texas Health Science Center where he developed skills in the latest technique of cataract surgery with refractive IOLs, as well as treatment for glaucoma, strabismus, and ocular plastics. He also provides emergency and routine eye care for children and adults. Dr. Madsen enjoys working closely with optometry. His record shows that he is a strong advocate for building and maintaining strong relationships between optometry and ophthalmology. He is excited to extend his refractive surgery services to TLC Laser Eye Centers of Portland. Dr. Madsen also works at Oregon Eye Physicians in Sherwood and Lake Oswego one day a week, and lives less than an hour away, providing an additional local option should an emergency arise. He and his wife Jennifer and their six children are very involved with their church. He is passionate about helping people. His interests include working with the Special Olympics, golfing, tennis, skiing, fishing, playing softball, and spending time with his family.